This course is formulated to develop skills and safety awareness of Marine Engineers boarding the ship as Junior engineers for the first time in the area of fitting, machining, welding, gas cutting and brazing. 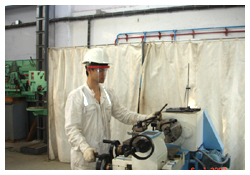 Introduction to engine room machinery, safe practices in engine room and pipe line tracing are also covered. By getting participants involved in practical work the course boost learning and ensures that everyone has the opportunity to discover new skills or improve existing ones. Identifying and locating the various machinery, pipelines and LSA/FFA items in the Engine room. Engineering terms, including names of hand and power tools and personal safety in handling workshop equipment. 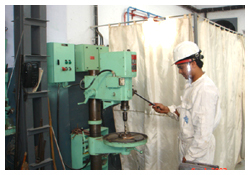 Safety precautions and procedure in welding, gas cutting and brazing operations. Machining terms and use of the lathe, pedestal drill and bench grinder. 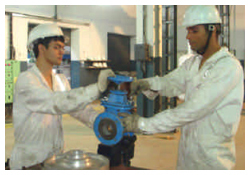 Knowledge of common fitting terms and practical fitting exercises.